When should I schedule a shadow visit? Eight grade students are welcome to schedule a shadowing date at their leisure, although students are encouraged to schedule a shadowing visit on a day when their middle school is NOT in session if at all possible. How far in advance should I schedule a shadowing visit? Please allow the Shadowing Team one week to schedule a visit. If you would like a specific date, let them know. How do I schedule a shadowing visit? What is the dress code for shadowing? The dress code of an average middle school also applies at high school. For instance, shorts must exceed the fingertips and tank tops must have a width of at least three fingers. Evergreen Valley High School would like to invite about 50 of our 8th grade students to be a part of their fifth annual Shadow Day program. This program provides an excellent opportunity for 8th grade students to come to Evergreen Valley High School for one day to shadow a 9th-12th grade student. This will be an extremely informative day and will give your students first hand experience about our daily high school schedule and curriculum. It will also help them be prepared and comfortable in August which will make it easier for them to succeed. On Wednesday, January 23rd. Quimby students (Who have registered and been approved) will report to the administration office of EVHS at 8AM. They will check in and be escorted to Cougar Hall. Participating middle school students must submit the Release of Liability form and the online Sign Up Form by January 5th in order to participate. Lunch will not be provided, but students are welcome to bring lunch, snacks, water, and/or money to buy food (hot lunch at EVHS is $3.25). The Shadow program will end after lunch at 12PM. An EVHS teacher will walk your students back to Quimby Middle School by 12:30PM and provide attendance information for our records. There are 50 spots available for Quimby students and they will be accepted on a first come first serve basis. Only students submitting all forms correctly will be selected. EVHS Leadership students are very excited to meet their future class of 2023. Please remind students to sign up on the online form and email their liability form to evhs.asbvicepresident@gmail.com or turn it in to the EVHS administration office by January 5th. Please DO NOT DROP OFF THE FORM IN THE QUIMBY OFFICE. If your students have any specific questions they can reach Armin at evhs.asbvicepresident@gmail.com or the Activities Director, Virginia Yenter, at yenterv@esuhsd.org. 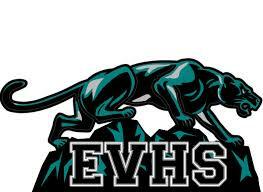 Evergreen Valley High School looks forward to greeting your wonderful students in January of 2019. Silver Creek High School’s Shadow Program invites prospective students to experience a day as a Raider. During a shadow visit, eighth grade students are paired with a Leadership student. Visitors will have a chance to familiarize themselves with the Silver Creek community by spending a full school day on campus. Guests will be able to participate in classroom activities, eat lunch with the student body, and meet faculty and staff. Students are invited to come and enjoy a day at SCHS. Parents, if your child is applying to a private high school, here are some items we will be requesting from you. Principal Ryan Hansen-Vera will mail out transcripts and state test scores after the second semester grades are posted. You will need to provide an addressed envelope with a stamp as well as a signed parental release from each high school you are applying to. The applications direct you to get a recommendation from the principal, however, we have been informed that this instruction is geared towards private feeder schools, not public schools. Instead of a principal recommendation, a second teacher recommendation will be accepted. No principal recommendations will be written. If you have questions related to private high schools, direct your questions to the high school(s) you are applying to. We do not have that information. Please remember that shadowing is an “unexcused” absence. Please plan for this when school is not in session. We do not provide or sell stamps for the envelopes.